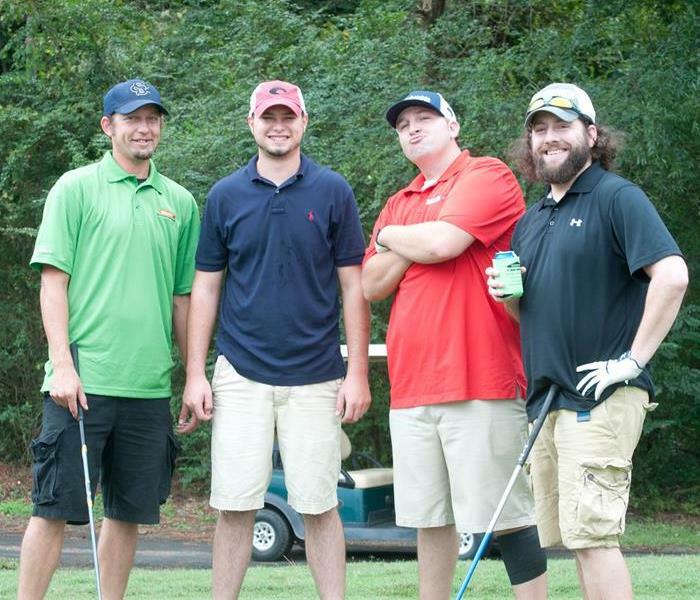 Photos are from the 2nd Annual SERVPRO-Red Cross Golf Tournament at Golden Hills Country Club in Lexington. 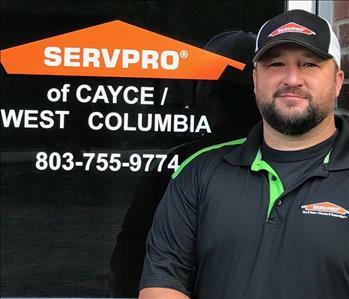 Together with the SERVPRO of Richland County and SERVPRO of Dutch Fork franchises, we helped raise $7000 for local families affected by tragedy. 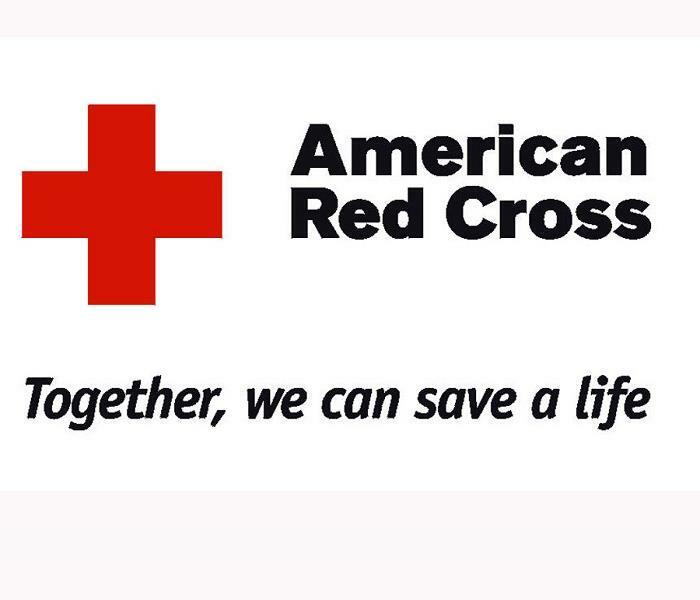 Each year the American Red Cross provides assistance to more than 2 million service members and many of our nation’s 24 million veterans. 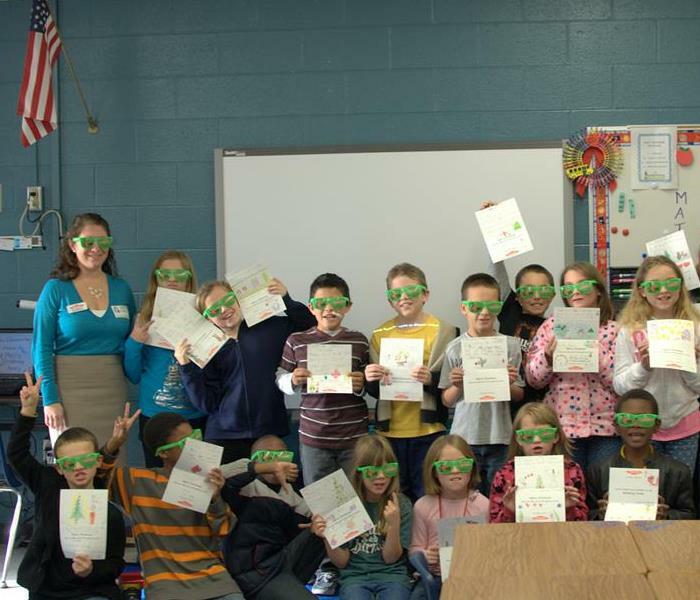 We had a wonderful time with students at Saxe Gotha Elementary and Carolina Springs Middle School as they drew pictures and wrote encouraging messages for their military heroes overseas! 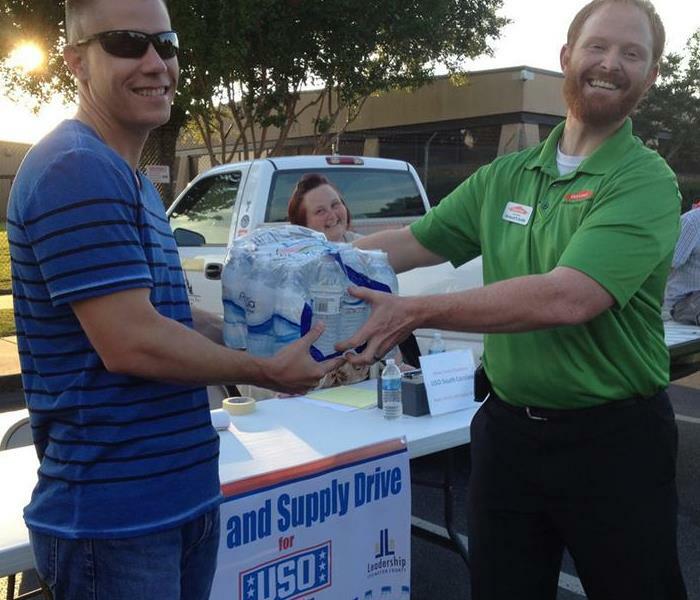 SERVPRO is donating to the Water and Supply Drive for USO. Our military men and women are very important and we try to donate what we can! 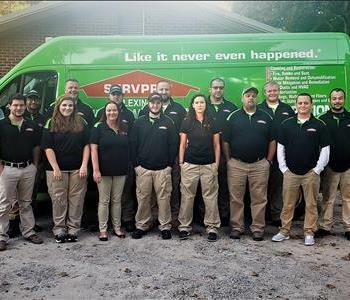 Lexington Young Professionals and SERVPRO hosted a free disaster symposium to the community of Lexington on June 14, 2013 at the Greater Lexington Chamber of Commerce building. It was an honor to hear the keynote speaker Adjutant General Robert Livingston and all of his knowledge on disaster relief help and National Guard in keeping South Carolina safe. 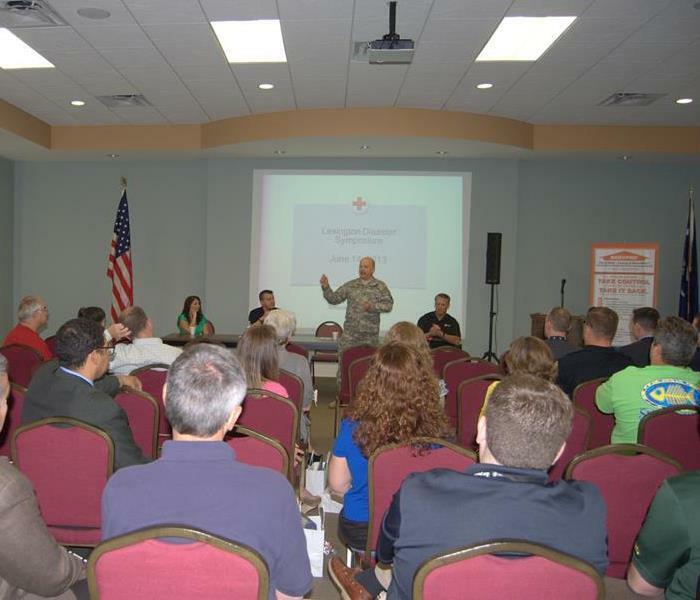 With Hurricane Season that began on June 1, 2013 and Tropical Storm Andrea passing through the Carolinas, it was vital to get informed by emergency response experts. The experts prepared residents for such disaster by emphasizing safety tips to utilize before, during and after small or catastrophic events. Speakers like Derrec Becker, from Emergency Division Management focused on hurricane safety and evacuation, and reiterated precautions and procedures to follow every type of local event. 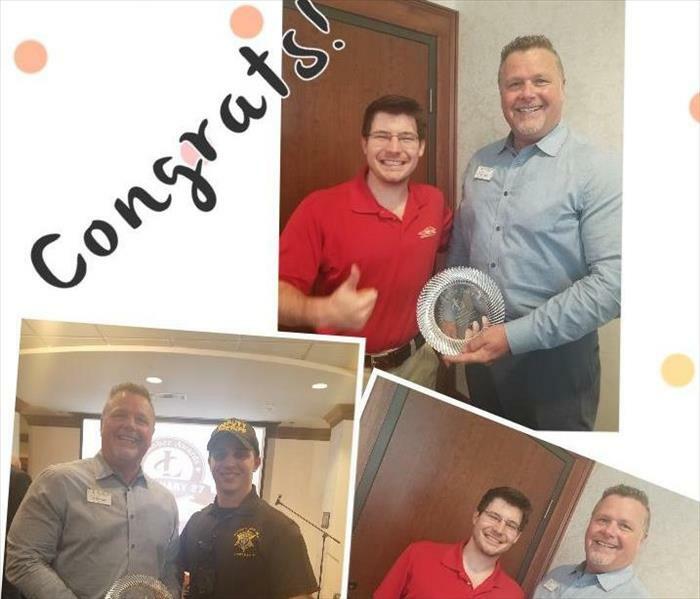 “Despite a gloomy weather report the day prior, the Second Annual SERVPRO/ American Red Cross Golf Classic featured cool spring temperatures coupled with live music, fresh gumbo and tournament festivities at Golden Hills Golf and Country Club on April 29th. Most notably, $11,027 was raised for a charity that returns .91 on the dollar to the local community for disaster relief efforts. 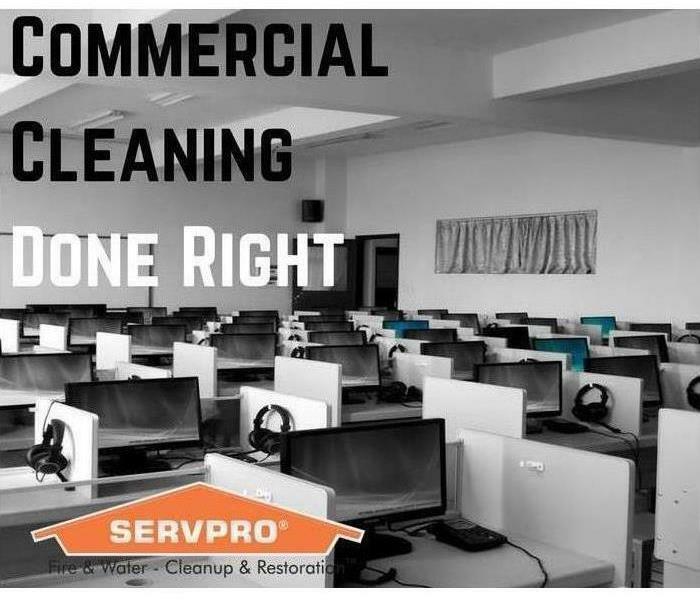 Thanks to the great support of sponsors like Sunbelt Rentals, Carpet One and Sam’s Club, the donation amount significantly increased from the $7000 raised in 2012. 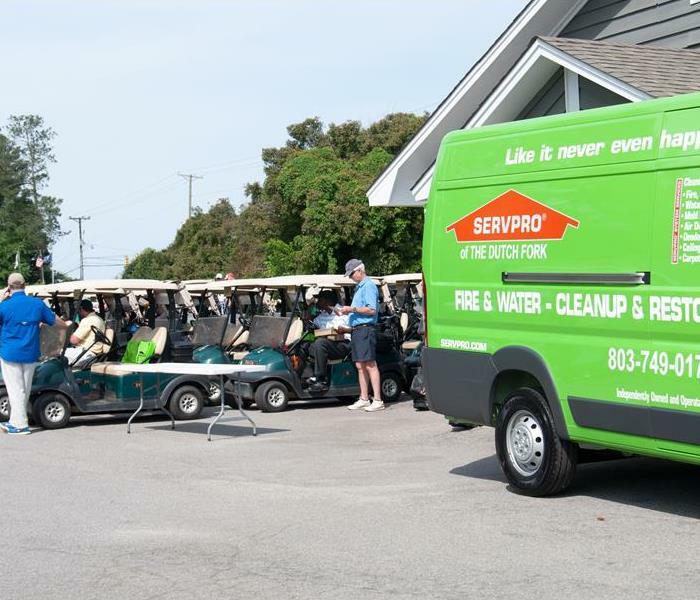 Every year the American Red Cross and SERVPRO partner up and put on a golf classic to raise money for the American Red Cross. This year like every year before was a BLAST.